This post was contributed by author Karen Randau. Her cozy mystery, Deadly Reception, is currently on tour with Escape with Dollycas Escape into a Good Book. Someone asked who I would cast for the characters in the movie version of my new book, Deadly Reception, one of the seven novellas in the Tawnee Mountain Mystery multi-author series. Each is a standalone book in which we authors take the characters from our own series to a posh New Jersey resort. Naturally, something happens, and we solve a mystery. My series is the Rim Country Mysteries, which now includes Deadly Deceit (2016), Deadly Inheritance (2017), and Deadly Choices (2017). Deadly Payload is due out later this year. Here is how I could cast the movie version of Deadly Reception. The narrator of my books is Rita Avery, wife of Detective Cliff Avery. She’s a middle-aged mother of two and grandmother of one, and she picked up some serious fighting skills from her late husband. Jared was a Marine who facilitated Family Fight Night every Friday. He was one of fourteen people who died in Deadly Deceit at the hands of a gunman in the movie theater of the fictional, picturesque mountain town of Rim Vista, Arizona. In the four books with Rita as the protagonist and first-person narrator, she has morphed from a shallow person who cares more about designer clothes than her neighbors, to a budding private investigator partnering with her husband to solve nail-biting mysteries. She’s committed to her friends and family, including the dog named Hope who stayed with her through a near death experience in Deadly Choices. In my imaginary movie, I’d choose Ashley Judd to play Rita. I enjoyed her as Tris’ mom in the Divergent trilogy, especially when she surprised Tris with her ability to fight like a warrior. Like Rita. In Deadly Inheritance, Rita got a second chance at love. She married the detective who investigated the shooting that took her first husband. Detective Cliff Avery is a manly man, who, with his late wife, patrolled Arizona’s Tonto National Forest as a wilderness ranger. When she died from a bear attack, Cliff joined the Rim Vista police department and met Rita twenty years later. In my imaginary movie, I’d choose David Boreanaz to play Cliff. Like Cliff, this actor’s character of Agent Seeley Booth on the TV series Bones and Jason Hayes in SEAL Team is tall and handsome and has a heightened sense of patriotism, enjoys a good joke, has experienced tragedy, doesn’t always follow the rules, and loves deeply and passionately. Zoe is the reason Rita’s family goes to New Jersey in Deadly Reception. She is Rita’s daughter and was collateral damage in Deadly Deceit. She took a year off from Northern Arizona University to recover from the incident that left her with one less toe. When she went back, she met her fiancé Josh. They’ve been inseparable ever since. In Deadly Reception, both Zoe and Josh are fresh university graduates starting their new life together in a rather … unique way. Josh’s frail grandfather was unable to travel to Arizona for a wedding, so both families took the wedding to him. His colorful life as a mob enforcer made him one of Rita’s first suspects in the murder she and Cliff help local law enforcement solve. In my imaginary movie, I’d cast blond-haired, green-eyed, athletic Hayden Panettiere to play Zoe; Ansel Elgort as Josh; and the 1960s heartthrob Frankie Valli as the frail grandfather. Willow is Rita’s mother. Zelda is the eccentric aunt who raised Cliff after his father beat the three-year-old’s mother to death. Like others in Rita’s life, her mother Willow led a secret life. A California native who raised Rita in San Diego, Willow was a vegetarian hippy the last time Rita saw her more than two decades ago. Willow claimed to retreat to a nudist artist commune after Rita’s father died. In Deadly Choices, Willow comes for a visit sounding more like a Texan than a Californian. In my imaginary movie, I’d choose Sissy Spacek for the part of Willow. A beautiful Texan in her 60s, Spacek has portrayed strong female characters but now takes on more motherly roles. Cliff’s Aunt Zelda has done her share of deception. She’s an aging, overweight social worker who dances to the beat of her own drum. She claims to be from Texas … until the truth was uncovered in Deadly Inheritance. That’s when Cliff discovered that Zelda manufactured a life story that she thought would protect Cliff from a man who reared the monster who murdered her sister. Because she’s a fellow eccentric in nature, I would choose Roseanne Barr to play Zelda in my imaginary movie. I hope my cast entices you to read all my books! 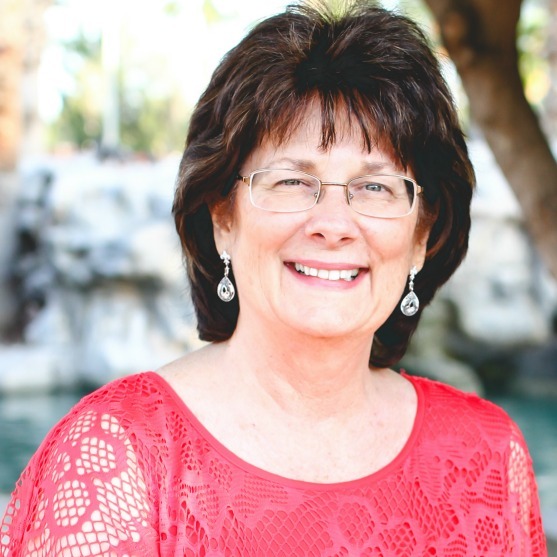 Karen Randau recently retired from an international humanitarian aid organization where she worked in marketing communications for nearly three decades. Her Rim Country Mysteries series currently has three novels: DEADLY DECEIT, about a woman whose husband was one of fourteen people killed in a movie theater shooting; DEADLY INHERITANCE, about the same woman who has remarried and gets locked in a Viking burial cave with a lit stick of dynamite while honeymooning in Scotland; and DEADLY CHOICES, about the same woman finding the mother she hasn’t seen in twenty-five years, only to discover a devastating secret. 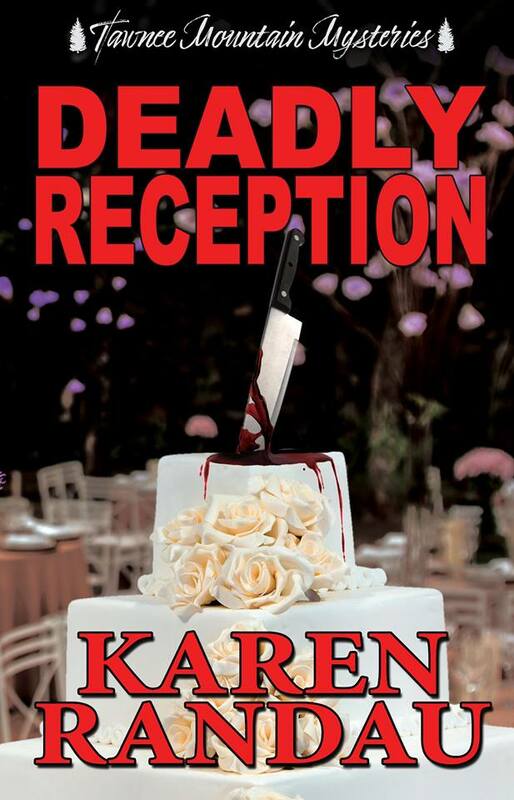 Her fourth book, DEADLY RECEPTION, is part of the multi-author Tawnee Mountain Mystery series of novellas and features the same character unraveling the mystery of why there was a torso in her closet when she check into a posh New Jersey resort.